Do you know how to choose a tile that is ideal according to the colour, shape and style that will match your home? 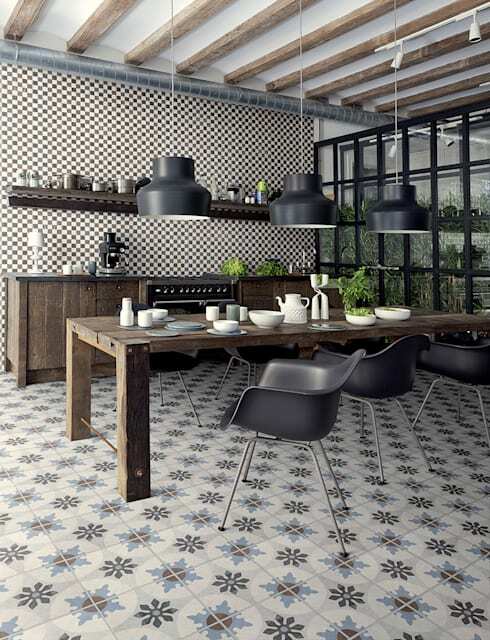 Well, in this homify feature, we look at 6 designer tile ideas. From the cool and calm design of marble, to the old school stone detail and even a modern take on exposed cement. Consider how tiles laying in a pattern can enhance the decorative detail of your space. Laying tiles doesn't need to be an ordinary, instead think about a creative laying patterns, perhaps 30 x 60 or even staggered and aligned. Remember that your tile orientation will be affected by the size of your room and even you budget. Interested? Well, then continue reading this homify feature for tips and tricks to upgrade your interior in awesome designer style. Modern tile laying includes decorating the contemporary wall and floor tiles with natural stone, ceramic or fine stone tiles in muted tones and elegant sizes. Larger rooms can be enhanced by rectangle designs that have gained popularity. The geometric tiles laying pattern is ideally 30 x 60. With square tiles staggered or aligned in a creative pattern instead of the conventional straight design. 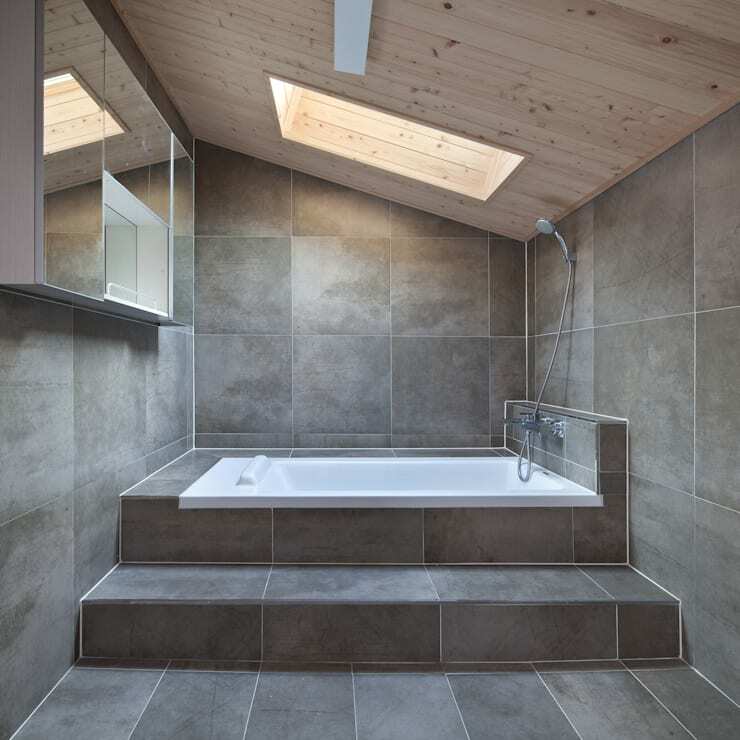 In this image we see the same grey tiles being used for the flooring and walls of the bathroom without the tiles laying in a distinct pattern. Just as the same tiles were used on the flooring and walls of the bathroom in the previous image, different tiles can be on the floor and walls for a retro revival. This design is reminiscent of industrial splendour and will fit a modern city apartment perfectly. The tiles laying pattern is simple, but it's the detailed design and high-quality material in sleek design and colour scheme that makes this kitchen elegant and sophisticated. The wall tiles are fascinating and eye-catching enough to make that simple splashback come alive with monochrome elegance. It's a pretty design for a contemporary living space in darker hues. 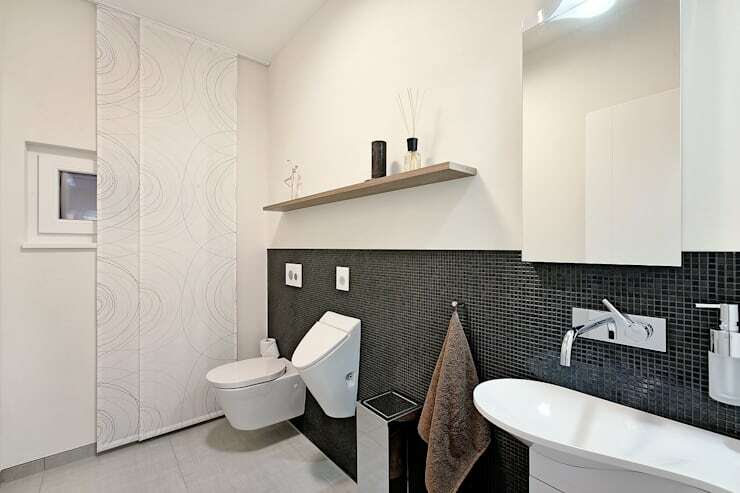 The more detailed tile laying pattern can be implemented on just the walls of the bathroom and these rectangular wall tiles are an awesome fit. 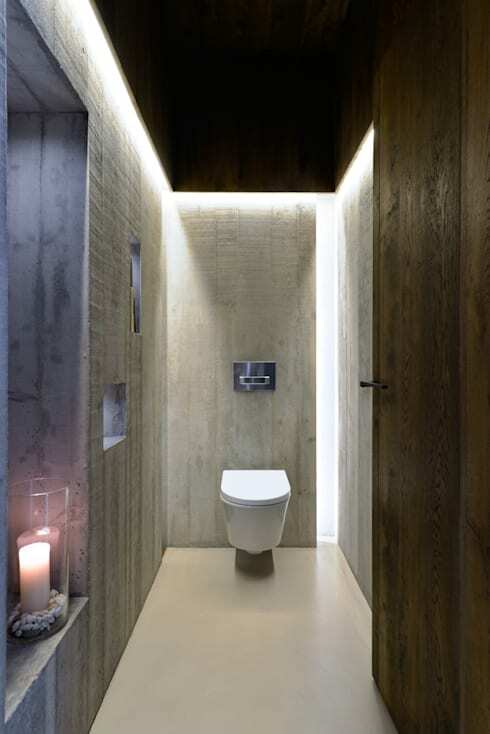 These tiles have a wooden appearance with a colour scheme that is essential in a minimalist inspired home. It's different, textured and an awesome option for your modern living space. These wood-fibre tiles follows laying pattern used for wooden parquet. 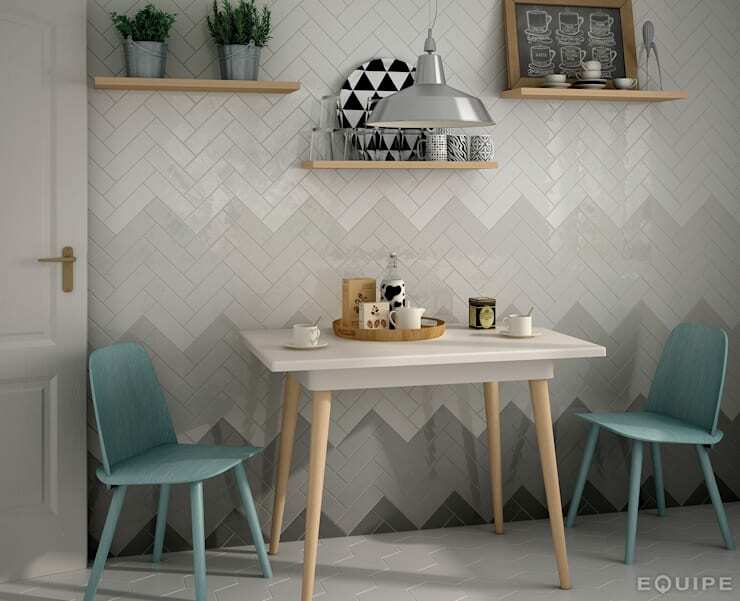 Herringbone is an attractive classic design that can instantly upgrade a bathroom floor or kitchen wall. In this image we see how tiles in staggered colour scheme can be aligned to create a trendy and chic design that is brilliant enough for a bathroom worth a second look. Decorate your bathroom floor with tiles laying in a simple pattern and this space will be easy to clean, comfortable and stylish regardless of the season. Opt for tones that are trendy but neutral enough to last a few year. 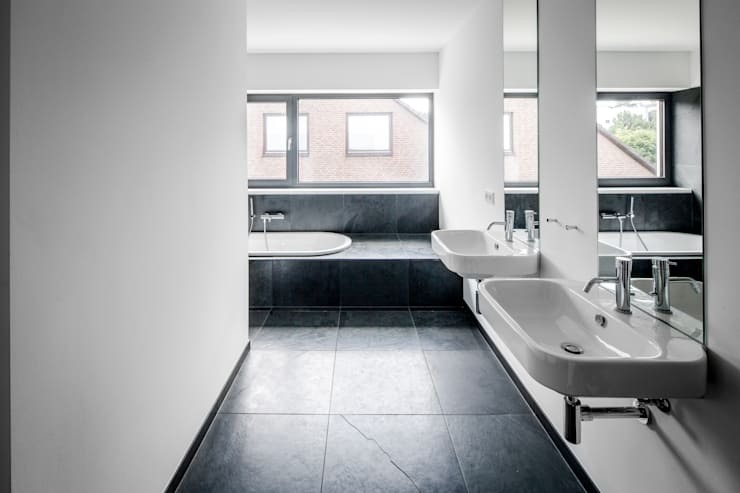 Modern monochrome with all-white walls and sleek black floors are a top choice, but add mirrors that reflect sunshine and artificial light for a larger looking bathroom too. Which tiles laying pattern have your chosen?